A generic drug is simply a branded drug that uses a different name. You’ll recognize many of the names. The brand Tylenol has a generic called acetaminophen. Prilosec is the brand name for generic omeprazole, which helps people with reflux disease. Metformin, used by diabetes patients, is the generic name for the brand Glucophage. But generic drugs cost less than their branded (also called "innovator") counterparts, and with the skyrocketing costs of healthcare, choosing generic drugs may be one way to keep costs lower. Because they cost so much less, it's fair to ask the question about whether or not they are truly equal. What Are the Differences Between Generic and Branded Drugs? Beyond the pricing, there are at least two other differences. First, not all innovator drugs have a generic version. Those that were recently developed are probably still patented; therefore a generic does not exist. To get the benefits of those drugs, you’ll need to use the branded versions. Also, “bio-equivalent" means only that the active ingredients need to be the same. U.S. Trademark laws require the drugs to look different, so the generic version may be a different color, a different shape, have a different taste, or contain inactive ingredients that are different. There have been problems reported by people who changed from the branded drug to its generic, and vice versa. In most cases, the problems seem to stem from the variation in the inactive ingredients. Others seem to emanate from the amount of active ingredient included in the different version. Adverse reports are rare, but if you experience them, you should explore them further. When a pharmaceutical manufacturer develops a new drug, it obtains a patent for that drug. The patent protects the developer’s investment in developing the drug, and no one else can legally sell the exact same drug for a period of time. It will be protected for up to 17 years. That patent-protected drug is the innovator drug. When we purchase it, we are also paying for the research costs, the costs incurred in proving it is safe, the costs to market and transport the drug, and a premium if it is the only available drug for a certain symptom, disease or condition. Those costs can make drugs very expensive for us to purchase. The developer considers much of the price a way to recoup its development costs. Once that patent-protected time has passed, any other company can manufacture and sell a drug with the same ingredients as the branded one. However, the FDA insists that a generic drug must be given a new name. Since the company that manufactures the generic didn’t incur the costs of the original research, testing or marketing, the cost is lower. If you have an insurance plan that covers prescription drugs, you may be surprised to know that some branded drugs will actually cost you less from your pocket than generics do. Health insurance companies negotiate pricing with drug manufacturers and drug sellers, occasionally resulting in more favorable pricing for their insured customers for branded drugs. Your insurance company maintains a list of preferred drugs, called a formulary, that helps you understand pricing. If the choice is not clear, check with your insurance company to determine whether the branded or generic will cost you less. 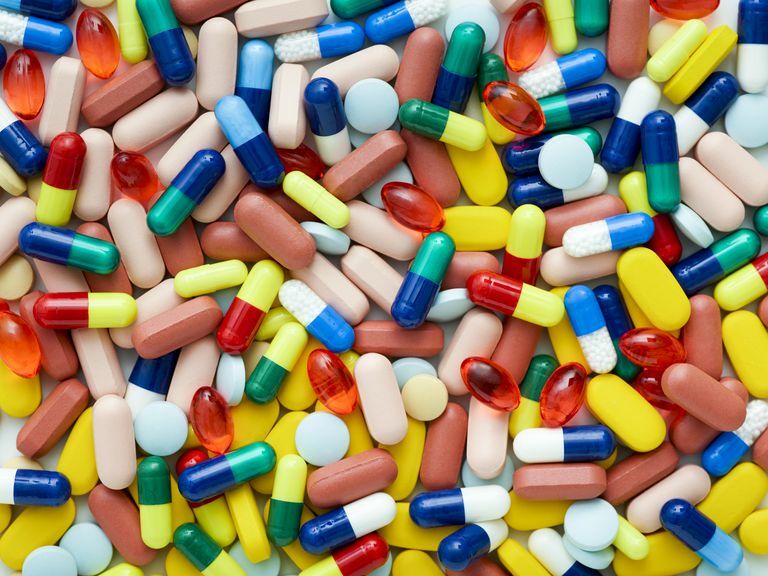 Are There Downsides to Generic Drugs? Knowing how much money we can save when we pay for our own drugs, and how much money we can save for the entire healthcare system if we accept generics through our health insurance plans, we have to wonder why we wouldn't always prefer to take generics. The answer is more about how generic drug manufacturers operate, the lack of oversight by the FDA, and less about the real question of whether generics will "work." The vast majority of generic drugs are manufactured in other countries; not in the US. The FDA has enough trouble regulating drugs manufactured in its own country; it cannot and does not do a good job of regulating manufacturers overseas. One example of this problem is the Ranbaxy debacle in 2013 when ultimately the FDA levied a $500 million fine because Ranbaxy was intentionally adulterating its drugs. There can be no question that other manufacturers are legally selling counterfeit versions of the drugs they have been approved to manufacture, too. The best way to be sure you are getting exactly the drug you need, branded or generic, is to consult with your doctor. When your doctor prescribes a drug for you, ask if there is a generic equivalent. If there is, then ask which form of the drug makes the most sense for you. If you are curious about the availability of generic versions of the drugs you currently take, the FDA maintains a reference called the Orange Book. If you want to know more about how your insurance company prices its drugs, both generic and branded, you can learn more about tiers and formulary pricing.